Leading Exporter of whistle cord, lanyard pistol cord, scout cord, lanyard cord and lanyard whistle cord from Ludhiana. 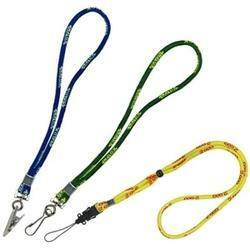 We are able to offer a superior quality array of Lanyard Whistle Cord to our patrons. Crafted from finest grade material, these products are famous among new generation clients. In addition to this, we are offering this assortment of products in various sizes, colors, and patterns to fulfill the different client needs. Apart from this, our clients can avail these products at a nominal market price from us. Owing to the optimum quality fabric, the offered assortment of Lanyard Pistol Cord is famous in the industry. This offered product comfort to the user while wearing. In addition, the range can be availed from us within the committed time frame at the reasonable price. These products are designed using only high quality components. Also, we always deliver timely our products. We are offering an impeccable assortment of Scout Cord. To continue to gain goodwill and trust of clients, we use only finest quality of material at our well-equipped infrastructure. The offered range of products widely admired across the industry for fine finishing and resistance to scratch. Further, the offered product is well known to be marked at the most reasonable market price. Assisted by the creative designer, we are offering a wide range of Lanyard Cord. With superior quality, our presented assortment of products becomes the recognized choice of our patrons available across the market. These arrays designed by making use of best quality components which is procured from the certified vendors of the relevant industry. Customers can avail these products from us at affordable prices. 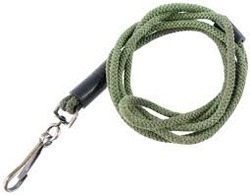 We are the leading company manufacturing a wide range of Lanyard Whistle Cord.